With the season over, there’s no racing to look forward to until the 2013 calendar kicks off in January Down Under. However, we’ll still be busy here at VeloVoices, looking back at 2012 (and dipping even further back into the history books), ahead to 2013 and bringing you the very best interviews and features as usual. However, let’s kick off our look forward to the next month with our usual selection of some of the more notable birthdays in the peloton. 5th: Matt Goss, Orica-GreenEDGE (26 years old). After his breakthrough year in 2011, when he won Milan-San Remo and stages at Paris-Nice and the Tour of California, no less a rival than former HTC-Highroad teammate Mark Cavendish identified him as one of the few sprinters he feared. But things never quite came together for the Aussie in 2012, with a stage at the Giro his only individual victory. At the Tour de France he raced consistently but never quite had the firepower to outgun Cav, Sagan and Greipel, registering two seconds and three thirds. 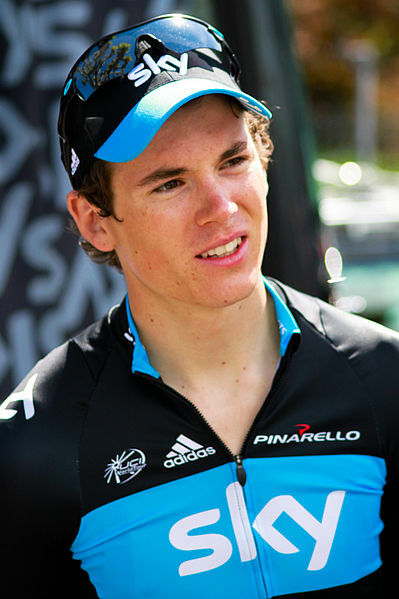 5th: Ben Swift, Sky (25). Another sprinter who followed up a promising 2011 with a mediocre 2012, Swift has all the raw potential to succeed Mark Cavendish as Sky’s lead sprinter but has yet to put it all together. He won the scratch race at the Track World Championships and added two silvers, but on the road his only notable wins came at the Tour of Poland, where he bagged a brace of stages and the points jersey. At the Vuelta he was blown away by John Degenkolb, registering only a second and a third place. 6th: Thomas De Gendt, Vacansoleil-DCM (26). Unlike Goss and Swift, De Gendt improved on the potential he displayed in 2011, when he won stages at Paris-Nice and the Tour de Suisse. Although he missed the Tour de France to get married, he again won at Paris-Nice and recorded a stunning solo victory on the Stelvio at the Giro, which helped put him on the bottom step of the podium. He nearly repeated the fear at the Vuelta at the summit of Cuitu Nigru, but was beaten at the last by Dario Cataldo. 10th: Amets Txurruka, formerly Euskaltel-Euskadi (30). The Basque rider has been released after six hard-working seasons in which he registered only two victories in minor races. His best results have come at the Tour de France, where he narrowly missed out on wins in 2007 and 2009 and was the most combative rider overall in 2007, where he finished 23rd – which still stands as his best Grand Tour result. In 2012 he started all three three-week races, finishing 42nd in the Giro and 30th in the Vuelta after abandoning the Tour. 13th: Laurens Ten Dam, Rabobank (32). The hirsute Dutch climber, affectionately known as the Wolf Man, has often ridden in support of others during his career but has recorded a stage win at the Criterium International as well as top ten finishes at the Tour de Suisse, Tour of California and Volta a Catalunya. This year he rode both the Tour and the Vuelta, finishing 28th in the former and an impressive eighth in the latter – his first ever top 20 Grand Tour finish. 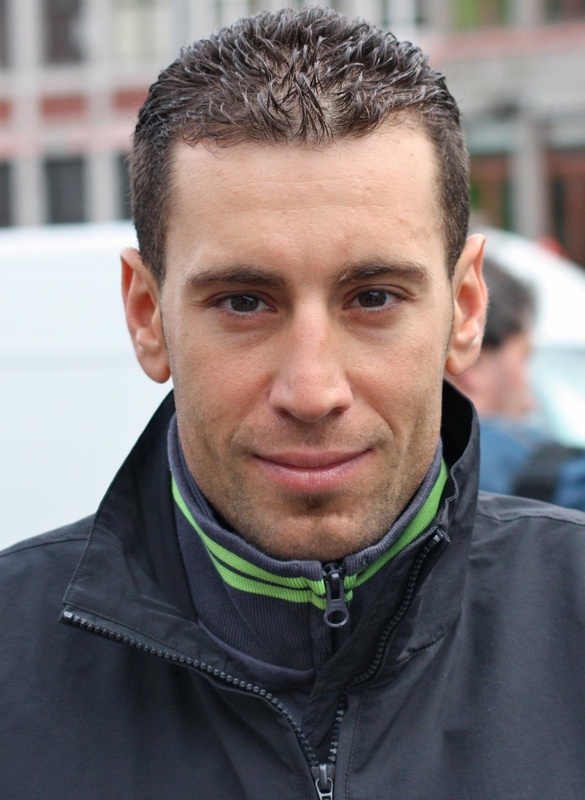 14th: Vincenzo Nibali, Liquigas-Cannondale (28). The ‘Shark of Messina’ added third place at the Tour to his 2010 Vuelta win and pair of Giro podium finishes. A strong climber and a demon descender, wherever Nibali appeared this year a daring attack was sure to follow. One such surge saw him fall just short at Milan-San Remo, where he finished third. But he was also second at Liege-Bastogne-Liege and won a stage and the overall at a punishing Tirreno-Adriatico. 16th: Mikel Astarloza, Euskaltel-Euskadi (33). The Basque rider originally rode for AG2R before joining his ‘home’ team in 2007. A strong stage race rider, his only professional individual victories are the overall at the 2003 Tour Down Under and a stage at the Tour de France in 2009. He finished in the top 20 at the Tour in three consecutive years (2007-9), with a best of ninth overall in 2007. Since returning from an EPO ban in August 2011, he placed 48th in the Vuelta this September. 24th: Luis Leon Sanchez, Rabobank (29). The Spanish national time trial champion in four of the last five years, Sanchez has just completed the most successful year of his career with nine victories including his second Clasica San Sebastian and stages at Paris-Nice, the Tour de Romandie (two) and the Tour de France. A past Paris-Nice and Tour Down Under winner, he has four Tour stage victories and placed tenth overall at both the Tour and Vuelta in 2010. 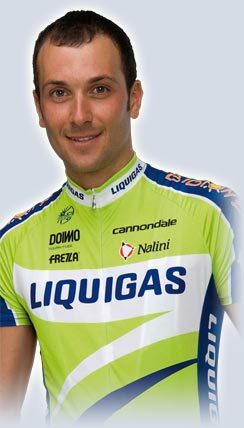 26th: Ivan Basso, Liquigas-Cannondale (35). Now entering the twilight of his career, the veteran Italian took his only victory of the year in the season-ending Japan Cup. One of the big favourites to add a third Giro win to his 2006 and 2010 titles, he lacked explosiveness on the big climbs and could only finish fifth. He has previously won six stages at the Giro and one at the Tour, as well as the overall at the Criterium International (2006) and Giro del Trentino (2009). 26th: Bauke Mollema, Rabobank (26). A promising young climber, the Dutch rider claimed the points jersey at the 2011 Vuelta en route to fourth overall to cap a season in which he was fifth at the Tour de Suisse and top-ten at Paris-Nice and the Volta a Catalunya. His most prominent 2012 results were third overall at the Tour of the Basque Country and seventh at the late-season one-day Classic Il Lombardia. 27th: Francesco Chicchi, Omega Pharma-Quick Step (32). The under-23 world road race champion back in 2002, the Italian is now a hugely experienced sprinter with over 30 professional victories to his name. He started 2012 in blistering form, racking up five wins including a brace at the Tour de San Luis by mid-March but could not add to his tally thereafter, with just a single second-place finish at the Giro. Look out for plenty of exclusive features over the next month, kicking off with our interview with Orica-GreenEDGE directeur sportif Lionel Marie tomorrow (Friday). Of course, we’ll still be bringing you our regular favourites: Tweets of the Week on Tuesdays and our Friday Features. And look out for more posts celebrating rider birthdays and delving into the rich history of cycling over the next few weeks. And if that still isn’t enough for you, follow our Facebook page and Twitter for even more great images, discussion and banter.